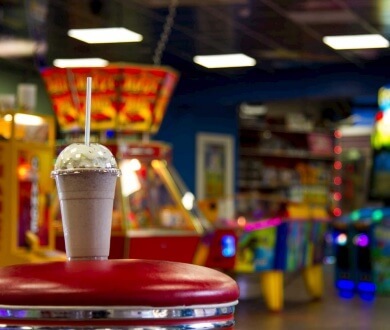 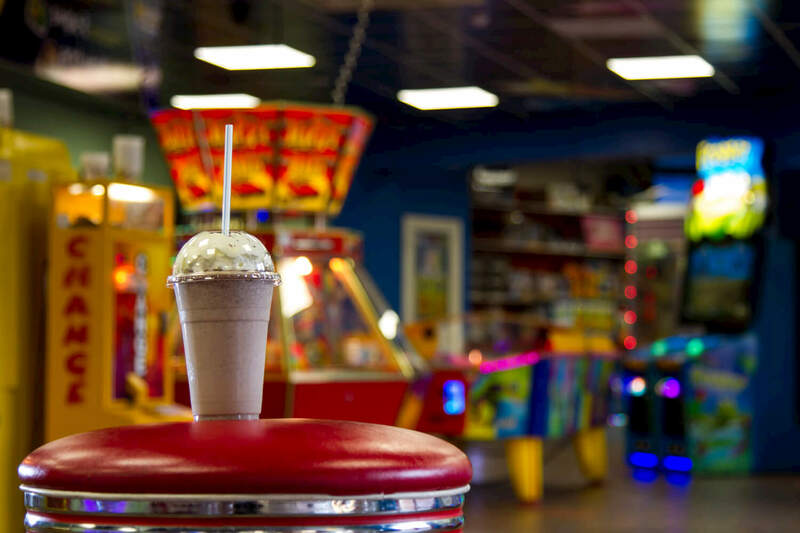 Tucked away at the far end of the Feelgoods Prize Arcade you will come across the Shakes Milkshake Bar. 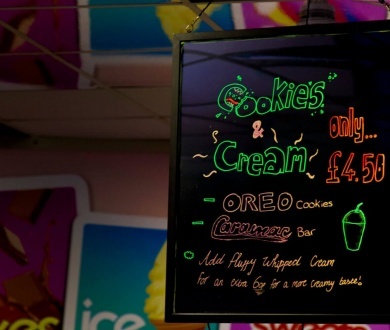 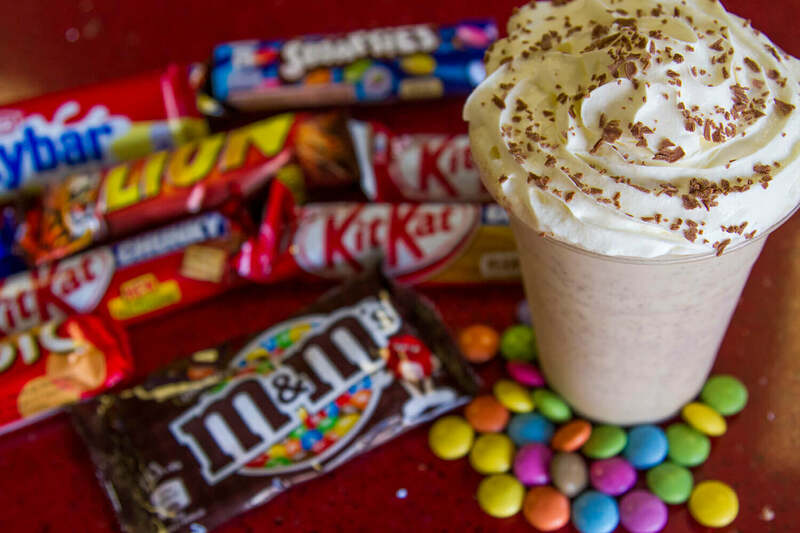 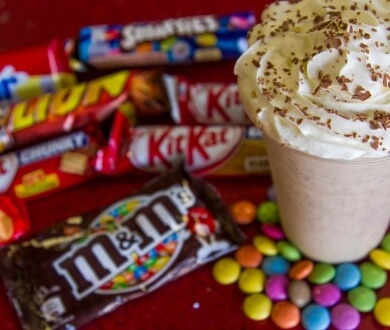 Here you can order a milkshake with your choice of ingredients, for example, if you fancy a Vanilla flavour milkshake with Jelly Babies and a Curlywurly – you’ve got it! 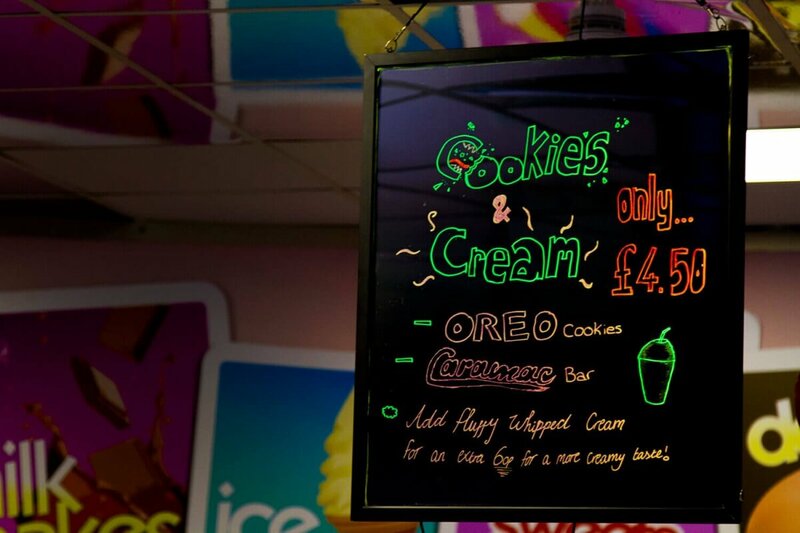 There’s a very impressive ingredients list for you to choose from.